Samsung Galaxy Note 9 was launched last month and already there’s talk about the Samsung Galaxy Note 10. It may be the fact that the Note 9 isn’t enough of an upgrade to impress, feeling more like a Note 8s. 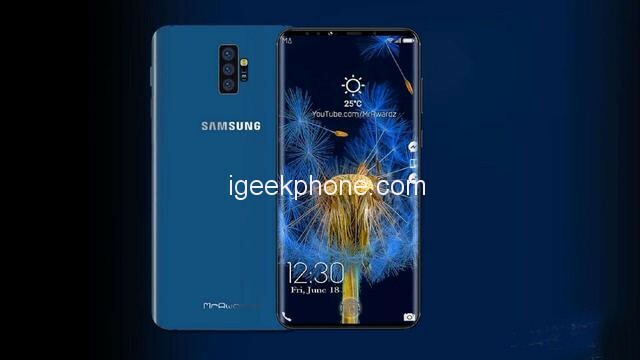 That’s why MrRwards already came up with the Galaxy Note 10, shown in concept form below. The Smartphone has almost overflowing edges on both the sides and the bottom, while the overflow of the screen is also very narrow, leaving only a small gap to accommodate the camera selfie and the sensor of the device. Samsung Galaxy Note 10 once again grows in diagonal, up to 6.5 inches and the CPU inside is a Snapdragon 855. The body remains all glass and metal, but this time somehow fused to mimic both textures. It could be time for a more serious camera upgrade, which happens in the case of this concept. The back of this model Galaxy Note 10 is also extremely prominent design with a triple shooter, with a combo of 12MP, 16MP and 13MP lenses are arranged vertically also with variable aperture from F/1.5 to F/2.4. In addition, the camera system will come with a single LED flash and 2 other sensors arranged so vertically that it looks extremely bumpy on the back. 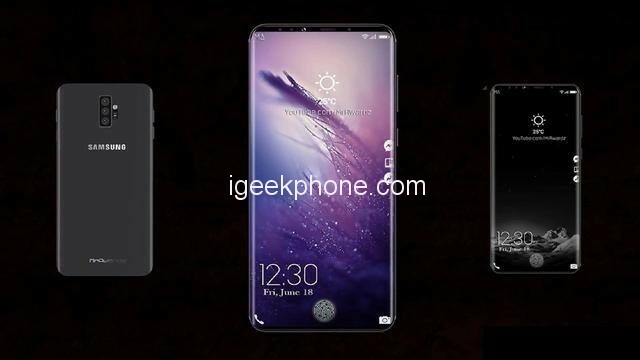 However, in some ways, this model Galaxy Note 10 flagship model will feature built-in fingerprint sensors below the screen. 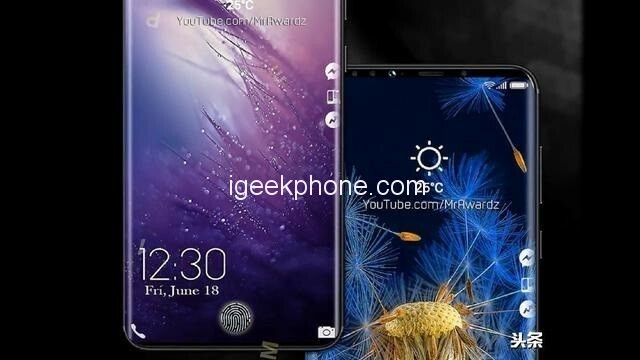 Overall, this is a great concept for the Galaxy Note 10. And if all the above ideas are true, Samsung’s flagship model in 2019 will be a heavyweight opponent when it comes out.